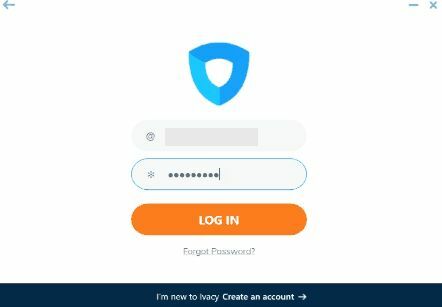 Highly-rated VPN from Singapore – Meet Ivacy. PMG Private Limited founded Ivacy in 2007 and has been a competitive service on the market ever since. The Privacy company headquarters is located in Singapore, a country we may know for its distinctive infrastructure for tech startups and fast-paced economy. There are tons of good stuff coming along when using Ivacy. We will get into all of them – No logging policy, fast speed, pricing and so on. Yet there’s some bad as well like DNS issues. In the end of the review, we will give a final verdict of pros and cons and express our honest opinion, whether the VPN has the goods to back up their claim on being the one-size-fits-all solution. Before getting technical, let’s look at how users feel about the service. ..Not bad, Ivacy. Nearly 95% of the users who gave ratings were positively-minded. We were surprised to see such great feedback from users.. And they are right. Ivacy has great features – No log policy, great protocols, faster server speeds, working with Netflix and torrenting, the list goes on..
Let’s get started on the most important part – security. Like most of the VPNs they do however collect information during signup. Okay, you might think, how will it be used? They do promise to remove this data in 12 months though..
Good encryption is as important as a door lock. Just like with physical locks, we are looking into well-known brands, you may think of ASSA, Kwikset or Schlage, yet in cyberspace the name to look into is Advanced Encryption Standard 256 aka “AES-256 Bit Encryption”. It is the industry standard and considered the father of modern ciphers. Protocols, therefore, are like lock pins. It performs a security-related function and applies cryptographic methods, describing how algorithms are being used. Ivacy has quite a long list of protocols – L2TP, PPTP, SSTP, OpenVPN UDP and OpenVPN TCP. They all differ on speed and security, yet OpenVPN TCP is the default we recommend. Ivacy has both good encryption standard and protocols. Quick note: For super-paranoid, Ivacy, unfortunately, lacks kill-switch, double hop features. If you are are a frequent traveler, making sure your VPN works abroad is a good idea. There are around dozen countries which strictly doesn’t allow VPN use, just like UAE which has quite tough laws and unknowingly using a VPN might land you a heavy bill if used fraudulently. You should never use VPN unlawfully, yet the line is blurry and probably avoiding VPN in those countries is the right way to go. You cannot forever avoid using one. Let’s say you are like our President.. Remember the tweet he did while being in China? Twitter is strictly banned, just like Google, Facebook and so on. How he did it? Obviously, the most likely answer is with VPN. However China banned most of the VPNs in 2018 and there’s no reliable list on which services were affected.. China sums up around 15% of world population and therefore our team decided to do our own tests. First, our partner in China tried to access the Ivacy website, assuming you might already be in the country. Next, we tried to access random website from China, while being connected to Ivacy server. Just as we started to lose hope, Ivacy informed us that they have a dedicated app which only works for China and they have designed the dedicated website as well. thechinanewyear.com. Ivacy ranks 9th in our speed tests. The speed is definitely in the top of the list, I won’t exaggerate by saying – Nobody likes slow internet. Cracking Skype call or snail-like website load time happening in the wrong time may kill your business, so it’s better to choose something stable. The U.S Server ping increased 503.57%, download speed -15.73% and upload -6.40%. United Kingdom server ping went up by 282.14%, download speed decreased by 3.52% and upload by 9.69%. Asia server ping skyrocketed by 1221.43%, download -12.21% and upload -65.12%. It may look like a sharp speed drop, yet it’s quite good in comparison to other services. Ivacy is pretty reliable in terms of speed. Usability consists of 3 main aspects – setup, user Interface and bugs. Just like with every service, we actually buy the service ourselves and try it out. Sometimes the setup itself may be such a pain that even having the best safety features won’t make tolerated. We’ve got you good news, the road towards connecting to a server was litter-free, just like Singaporean streets. Setting it up took less than a few minutes without any roadblocks. And even the user interface was bearable. Intuitive design, clear coloring, and well-prioritized buttons. Nothing much to add. The app itself could be lighter though, in terms of capacity, we have seen ones that work incredibly well and consume only 5MB of space, instead of 20, yet not a big deal..
Ivacy users can connect to 52 countries and up to 5 simultaneous devices with one account. Good enough to use with all personal devices and leave something for a family member as well. Android user can quickly find the app from Google Play and Appstore. On Android they have released 3 different Android apps: Ivacy VPN, Ivacy VPN TV, Ivacy Lite. TV version is just meant for Android TVs, Ivacy VPN and Lite however have quite a big difference. The premium version holds a lot more server countries and locations and doesn’t contain ads. Ads are literally leeches in sense of battery drainage.. The Lite version has both ads and fewer server locations. Suit yourself.. Some of the permissions are questionable. Why would the app have the ability to make photos with my phone? Secondly, I would personally mind if the VPN app is able to read the contents of my USB storage. The main turndown with Ivacy is DNS leaking. A DNS leak is a security flaw that allows DNS requests to be revealed to ISP DNS servers. This vulnerability allows an ISP, as well as any secret listeners, to see what websites a user may be visiting. This is possible because the browser’s DNS requests are sent to the ISP DNS server directly, and not sent through the VPN. This may occurs with specific VPNs, like “split-tunneling” VPNs, where traffic can still be sent over the local network interface even when the VPN is active. Ivacy introduced split-tunneling in year 2010. Ivacy is chin-droppingly low-priced VPN. Their yearly subscription could be bought for $2.33 per month, which is indeed super-low cost. And it goes even better! Getting a 5 year subscription will cost you only $1.33 per month. That’s an offer you see rarely in the market. For your purchase, pay with anything.. They accept literally every possible way of payment, let it be cryptocurrency or PayPal, your choice. Quickly getting a response is crucial. Remember the time you abandoned a service due to lack of response? We remember.. it happened when trying to contact Norton VPN team, the reply never came back.. There’s a saying “No response is a response, and a powerful one”.. Exactly 445 min later, the response came in..
It’s clearly written by native speaker. All the answers were provided with no intention to glance off or avoid the topics. We tried out their live chat as well and stumbeled upon users favorite support agent – Tevez. As you can see the support agent reacted under a minute. Great job Ivacy. Well-worth to call themselves a SaaS.. Maybe that’s just a Singaporean standard? Yet, there’s a thing we don’t like about Singapore..
14 Eyes is an information-sharing alliance between country governments. It all started as an informal agreement between UK and US called “Atlantic Charter” – pivotal policy statement issued during World War II on 14 August 1941 which defined the Allied goals for the post-war world. Following with Holden Agreement in 1942 and UKUSA agreement in 1946. Singapore is not an official member of 14 eyes.. So what’s the big deal? Singapore is a silent partner of 14 eyes and therefore a threat in terms of cybersecurity. You could argue that if a company doesn’t log your data, it wouldn’t matter. Yet the harsh truth is, nothing is certain.. Let’s just minimize the risk. Now as we know a lot more about Ivacy, let’s sum it up. 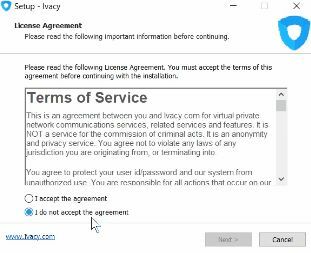 Ivacy main pros are the incredibly cheap price, 9th overall speed compared to other softwares, highly responsive customer service and a strong encryption. Yet they lack some of the cornerstones of an excellent VPN like location in privacy heaven, additional security features and you can’t get around leaking DNS. So is it a good or not? It’s good, but not great. If you are not super-paranoid about privacy and just want a decent VPN for watching Netflix or torrenting, Ivacy is absolutely good. It’s like a proxy on steroids, just enough to be classified as a VPN. average technical standards – Meet Ivacy.